One Fat Frog Restaurant Equipment is Florida’s largest dealer in high volume commercial restaurant equipment. Every week, One Fat Frog Restaurant Equipment is getting in truckload after truckload of used commercial restaurant equipment. Such a high volume allows One Fat Frog Restaurant Equipment to sell their stock at seriously discounted prices. Recently One Fat Frog Restaurant Equipment got in a couple fantastic steam tables. One steam table is a used four-well Randell steam table with a warmer and the other is a used four-well Randell steam table with a hand sink. These used steam tables are perfect for restaurants, catering services, buffet restaurants, Italian restaurants, vegan restaurants, and more! Under the roof of the One Fat Frog Restaurant Equipment Super Mega Warehouse in Orlando you’ll find used range ovens, used restaurant furniture, used convection ovens, used ice machines, used cook and hold ovens, used conveyor ovens, used commercial coolers, used commercial freezers, used slicers, used fryers, used flat griddles, used char broilers, used refrigerated prep tables, etc. 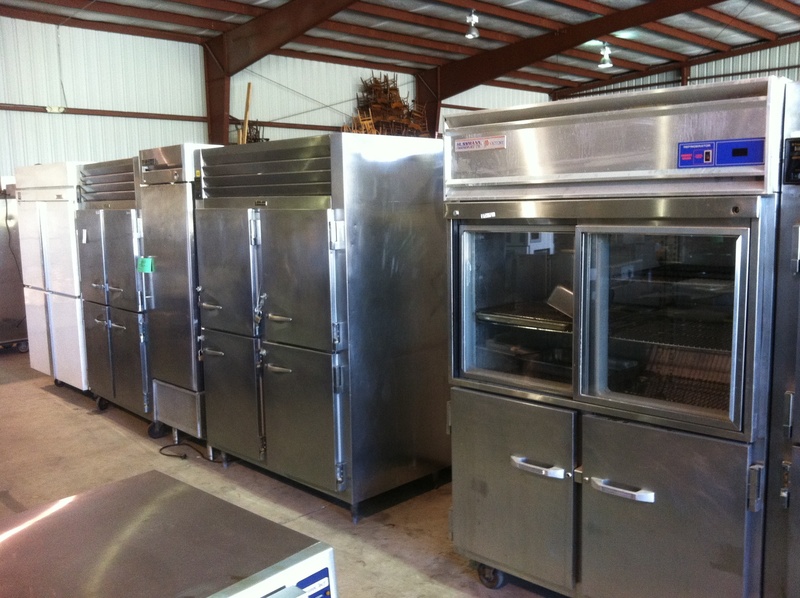 You are never going to find this large a selection of used commercial restaurant equipment under one roof at prices this insanely low. One Fat Frog Restaurant Equipment welcomes quick cash deals and package deals towards the entire selection of used commercial restaurant equipment including the steam tables listed above. One Fat Frog Restaurant Equipment can also get you financed for all of the used commercial restaurant equipment you need including the used steam tables listed above. One Fat Frog Restaurant Equipment offers more free delivery than any other restaurant equipment dealer in Florida. One Fat Frog Restaurant Equipment delivers for free to Gainesville, Jacksonville, Ocala, Tampa, St. Augustine, Ft. Myers, etc.